Aviatrix CloudN virtual appliance that is deployed in an on-premise datacenter or co-location facility. CloudN supports REST API that allows further automation and third party software integration. REST API document can be found at this link. For an example of how to use REST API, check out this link. Datacenter Extension Extend your datacenter to multi cloud (Datacenter Extension or DCCX). Read How to build agile DevOps document for instructions. Site2Cloud Build encrypted tunnel to existing VPC/VNets (on-prem gateway for Site2Cloud). Read How to build Site2Cloud for instructions. IPmotion Build connectivity that makes it possible to migrate on-prem VMs to cloud while preserving their IP addresses. Read How to setup IPmotion for instructions. The following guide provides step by step instructions for deploying the virtual appliance. Read carefully as there are specific instructions for each of the above three use cases. Virtual appliance CloudN image can be downloaded from the download link. 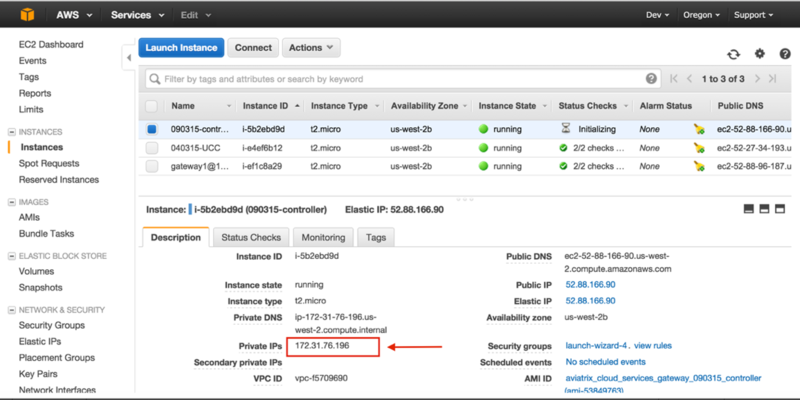 If CloudN is deployed for Site2Cloud function, you do not need to setup an EC2 account. Skip section 2.1. If you intend to launch VPC in AWS, you need to have an AWS account. You need to have an AWS account in order to use most of the commands on CloudN. Note that CloudN support multiple CloudN cloud accounts with each one associated with a different AWS account or IAM account, but there needs to be at least one to start with. The AWS account can be a root account, an IAM user in Administrator Group or an IAM user with full access permission to EC2, VPC, S3, SQS, SNS, CloudTrail and Route 53. For security reasons, we strongly recommend you use IAM user account. During onboarding, you will have opportunity to copy and paste a custom policy required by Aviatrix to your AWS IAM account. The following steps show you how to add a user to Administrator Group in AWS. Step 3. Add joe_smith to admin group which was created previously via Groups tab on the console. If you are an IAM user, make sure you have full access to EC2, VPC, S3, SQS, SNS and CloudTrail service. Refer to this link on how to setup an IAM access policy required by CloudN. During the onboarding process, we will guide you through on setting up this IAM customer policy. If CloudN is deployed for Site2Cloud function, you do not need to setup an Azure account. Skip this section. To create credentials for Azure, follow this instructions. You can deploy CloudN as a virtual router and in a remote site for Site2Cloud function. In this deployment, CloudN functions as a router and it is deployed anywhere inside a datacenter and it does not require a public IP address. What is required is that the default gateway of the subnet where CloudN is deployed has a static route configured that routes traffic destined to the VPC CIDR where this remote site wish to connect to the CloudN. When used for datacenter extension (DCCX) function, CloudN manages your entire cloud address space. You need to identify or create a subnet where CloudN is deployed. CloudN is deployed on a private subnet anywhere on your network. 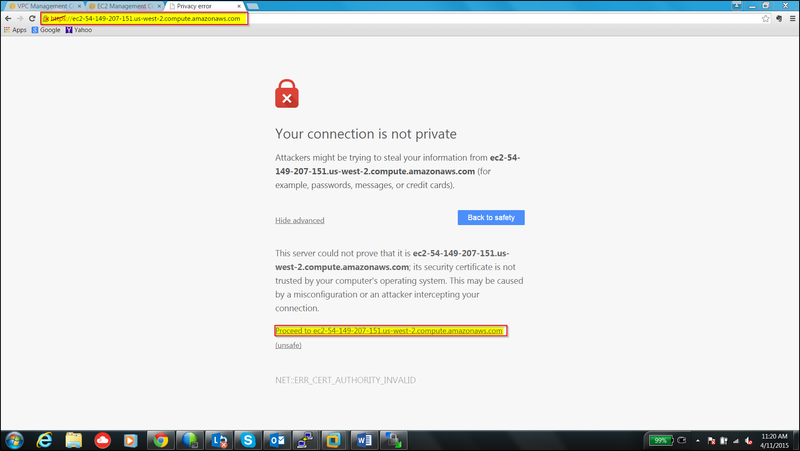 CloudN does not take a public IP address. Make sure this subnet is reachable by other subnets where traffic is originated from. CloudN should be deployed on a subnet (or VLAN) where CloudN is the only virtual machine on the VLAN. CloudN VM’s IP address is determined by CloudN software during installation time. The default gateway for the VLAN should either have the lowest address or highest address for the VLAN. For example, if the VLAN where CloudN is deployed is 10.10.0.0/16, the default gateway IP address for this VLAN should be either 10.10.0.1 or 10.10.255.254. The size of this subnet or VLAN should be large enough to allow the creation of the desired number of VPCs. For example, a network with /16 prefix can support 15 VPC/VNets with each VPC/VNet contains /24 subnet in AWS or Azure. CloudN allocates 4 bits or 16 subnets in each VPC. By default, two subnets, one private and one public subnets are created in each available zone. A user can customize and create additional subnets. If you deploy a CloudN in a /23 subnet, only two VPC/VNet can be created. This VPC/VNet can support 8 subnets. It is recommended that you deploy CloudN in a subnet size between /16 and /22. Below is the table that describes the subnet size and the maximum number of VPCs. Deploying CloudN in a /24 subnet is a special case. It is handled differently from any other size of subnets. In this case, there is only one public subnet and 2 private subnets with each in a different availability zone created for a VPC Container. Up to 2 VPCs can be launched. Since not every AZ (Availability Zone) is covered in subnet creation, applications that require subnets in each AZ would not work. Deploying on /24 subnet is best used for POC projects. Leaving local machines outside the address range of 192.168.1.0/26 can result in duplicate IP addresses. Each VPC has 1 public subnet and 2 private subnets. CloudN local gateway is installed as a VM host with two network interfaces. Make sure the two interfaces are on the same VLAN or subnet. If CloudN runs on VMware ESXi host, follow the instruction in the next chapter to enable promiscuous mode and forged transmit mode for both interfaces. If CloudN runs on Microsoft Hyper-V, you do not need to configure the network interfaces as they are pre-configured as part of VHD image. CloudN needs to have Internet connectivity to perform most its functions. If there is proxy server on-prem for Internet access, contact IT administrator to obtain proxy server IP address, proxy port, and if there needs to have username and password for authenticating by the proxy. If you select TCP as tunnel type for either datacenter extension or site2cloud function, the constraints in this section do not apply. If your organization has more than one public IP addresses as the NAT address, you must bind CloudN’s private IP address to one of the public IP addresses. That is, CloudN will always be translated to one static public IP address for its outbound traffic. Step 1 Create a network object for the internal servers. CloudN requires the following TCP/UDP outbound ports open. (optional) UDP ports 4500 and 500. Aviatrix CloudN supports encrypted tunnels over TCP port 443. If you select TCP as the tunnel type for datacenter extension or site2cloud function, no UDP ports 500/4500 are required to be open. The advantage of selecting TCP as the tunnel type is to reduce deployment friction when building hybrid connectivity. In the current release for IPmotion, only UDP mode is supported. If you choose to reduce the scope of above ports, you can limit them to only AWS owned public IP address blocks. All AWS public IP addresses can be found in this link. Since CloudN operates in a client-server mode where the CloudN local gateway is the client, there is no restriction or requirement to open any known TCP/UDP port for inbound traffic. CloudN uses extensively Amazon Web Service (AWS) APIs and Azure REST APIs. These APIs checks timestamp for each API call. CloudN is pre-configured to synchronize its time with Host (please double check on the VM advanced option to make sure this is the case.) To ensure correct operation of CloudN, it is important that the Host where CloudN is installed has correct time. Most likely enterprise data center syncs VM time to host. However if your environment requires you to sync time to an NTP server, CloudN allows you to accomplish that. You can configure this at Settings -> Time Service. CloudN is a virtual appliance that runs on a hypervisor. The supported hypervisors are VMware hypervisor products, Microsoft Enterprise 8.1 Hyper-V and Oracle VirtualBox. By default CloudN is packaged with 2 vCPU, 4GB of memory and 20GB of hard disk (SCSI storage or hard drive) as part of its image make up. You can always reconfigure the VM to take more CPU and memory. For maximum performance, it is recommended that the host CPU has support for Intel AES-NI, instruction set for hardware encryption. Intel processors Westmere, Sandy Bridge, Ivy Bridge and Haswell all have AES-NI enabled. In test environments, TCP throughput (using iperf tool) in the vicinity of 880Mbps has been observed with CloudN running on a VMware ESXi host with an Intel Xeon CPU (E3-1220L V2 @ 2.30GHz). CloudN OVF image can be imported and installed on a VMware ESXi 5.0/5.1 host, VMware Workstation, Fusion and VMware Player. Once you have signed up as a Aviatrix customer, follow the instructions to download the zip file on your PC. CloudN OVF image usually takes the name “cloudN-ovf-date” where date is the time when the image was built. CloudN is recommended to run on ESXi 5.0 or later version. However you can install the software on VMware Player, VMware Workstation and Fusion for testing and evaluation purposes. Step 3: Click Next to proceed through the rest of the installation. Please refer to the page ESXi Admin for more detailed instructions. If you deploy CloudN for Site2Cloud connectivity, CloudN network interfaces are not in promiscuous mode. Skip this section. CloudN has two network interfaces, both of them need to be on the same VLAN. Step 4. Click the Security tab, from the Promiscuous Mode dropdown menu, click the box and select accept and click OK. If you are running ESXi 5.1 or later, you also need to set Forged Transmit Mode for the port group to “Accepted”. For more information on configuring security policies on the network switch, please refer to the instructions in this link. DCCX does not support NIC teaming in active-active mode. When NICteaming is configured, only active-standby mode is supported, as shown below where the ESXi host has 4 Ethernet ports and VLAN220 is the port group CloudN Ethernet ports belong to. CloudN VHD image can be deployed on Windows 8.1 Enterprise Edition, or Windows 2012 Server R2 Hyper-V.
After downloading the zip file and decompressing it, copy the folder to a location where you can import the virtual machine. For installation, follow guide below. If you deploy CloudN for Site2Cloud function, MAC Spoofing is not needed. Skip this section. Both Network Adapters associated with CloudN VM should have “Enable MAC Address Spoofing” turn on. This is accomplished by expand Network Adapter, select Advanced Feature and check the box “Check MAC Address Spoofing”, for each Network Adapter. As part of VHD image, this setting should already be configured and should not be changed. If you deploy CloudN for Site2Cloud function, active and active NIC team is supported. For DCCX, NIC teaming is only supported for active standby mode. This section and the following steps can be automated. Check out this vmware PowerCli script. Below description is how you can boot up in a manual way. After this initial login, if you see the screen the screen below. There are two ways to give CloudN its IP address: auto-generate by CloudN itself or statically assign one. For DCCX deployment, choose CloudN IP to be next to the default gateway IP address of the VLAN or subnet where CloudN is deployed. This does not apply to IPmotion deployment. All you need to do here is to provide information related to the subnet where CloudN is deployed. CloudN scans the subnet and find an IP address that is close to the default gateway (for example, if the default gateway is 10.10.0.1, CloudN will try 10.10.0.2) and is available, CloudN will then assign itself this IP address and CloudN software will be downloaded if configuration is successfully. CloudN will identify an unused IP address in an iterative fashion and assign it to itself. As seen in the above example, the IP address generated is 10.88.0.3. Once the IP address is generated, CloudN will start to download the latest CloudN software. If you see the above message, the download is completed. Any resources created by the controller, such as Aviatrix gateways, AWS/Azure routing tables, subnets, etc, must be deleted from the controller console. If you delete them directly on AWS console, controllers view of resources will be incorrect which will lead to features not working properly. 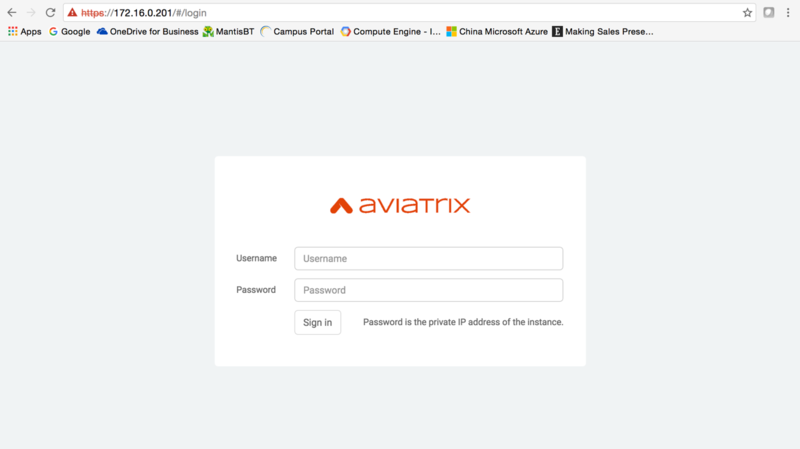 After you login to the browser console, click Onboarding to go through a few steps of initial setup and start using Aviatrix.